Cyclone Phethai has struck coastal Andhra Pradesh. 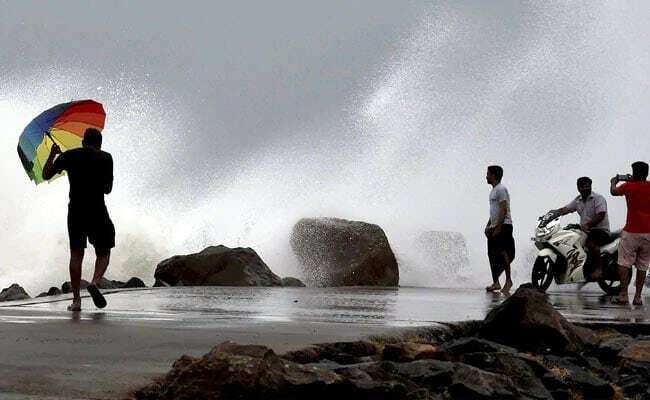 Meteorological Department have given a forecast saying cloud burst could happen between Yanam and Tuni coastline on Monday. Cyclone Phethai is concentrated over East to West direction of the Bay of Bengal i.e. around 250kms from Kakinada. IMD predicted that winds of speed at 90 to 110 kmph could create devastation in the region. Cyclone Phethai may hit seven districts East Godavari, West Godavari, Krishna, Srikakulam, Vizianagaram, Visakhapatnam and Nellore. Schools remain closed on Monday. Government has set up relief and rehabilitation centers. Next articleసారా అలీ ఖాన్ అందాల నాటుసారా..